The Smoant Naboo 225W TC Box Mod Kit, which includes the temperature control box mod and sub ohm tank, 4 fashionable colors available. 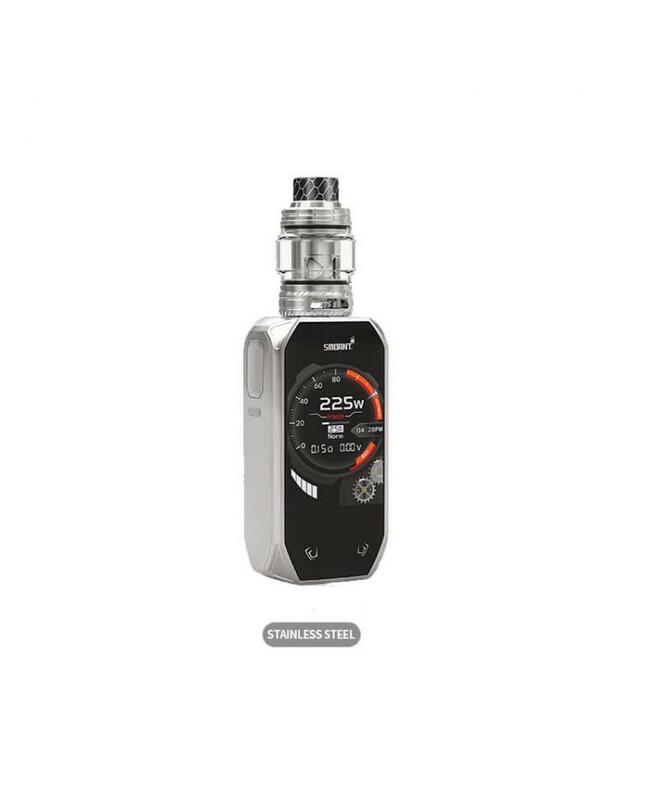 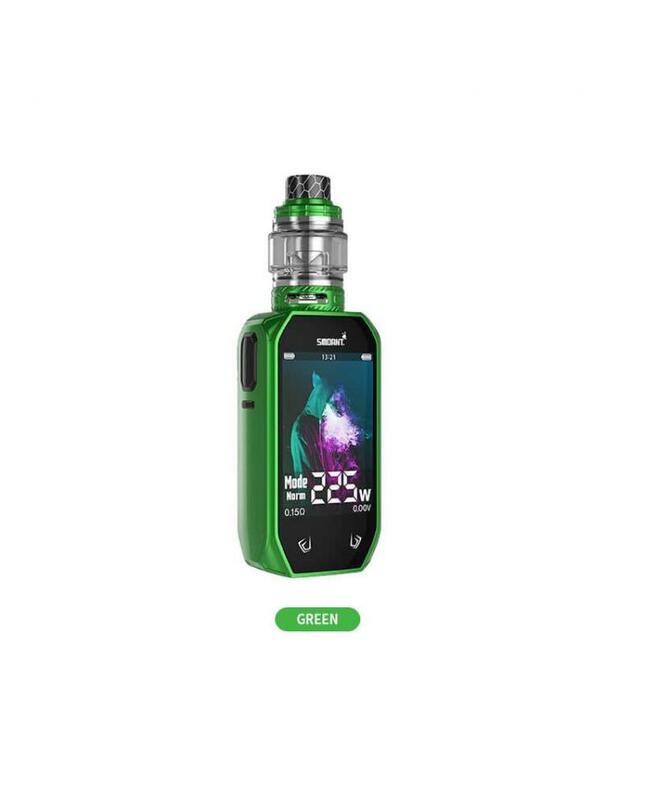 the Smoant mod built-in ant225 chipset allows the mod fire virtually low to 0.015 seconds, powered by dual 18650 batteries and max output 225watts, various working modes switchable, supports resistance as low as 0.1ohm. 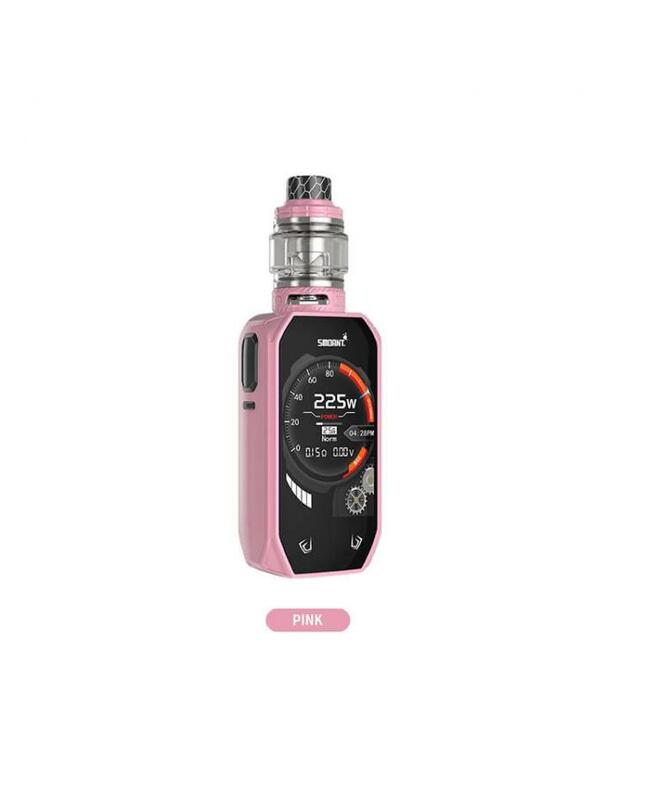 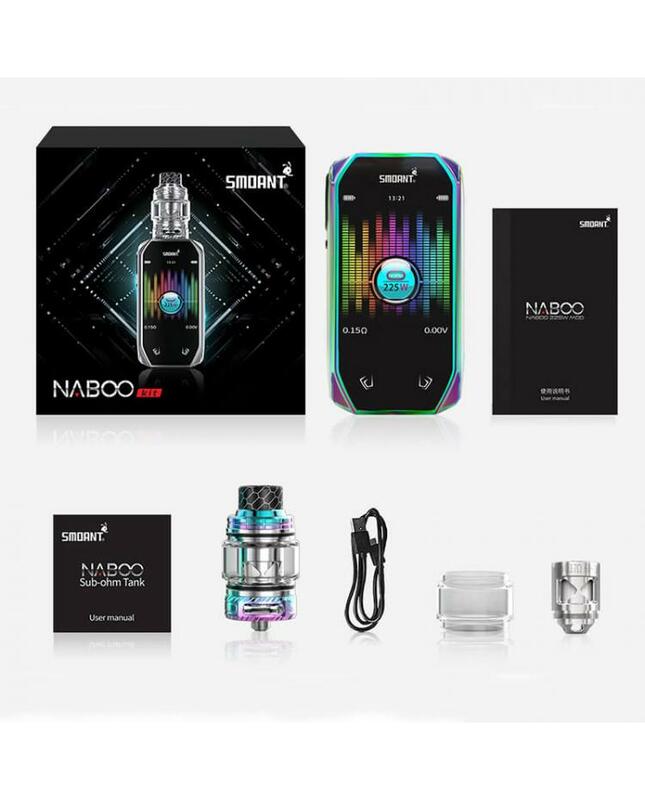 the Naboo mod with ergonomically design, on the front panel with one large 2.4inch colorful TFT screen, there are 3 brand new user interface selectable: classic mode, dial mode, and music mode, especially introduce the music mode, the scale will beat according to the volume of music while vaping. 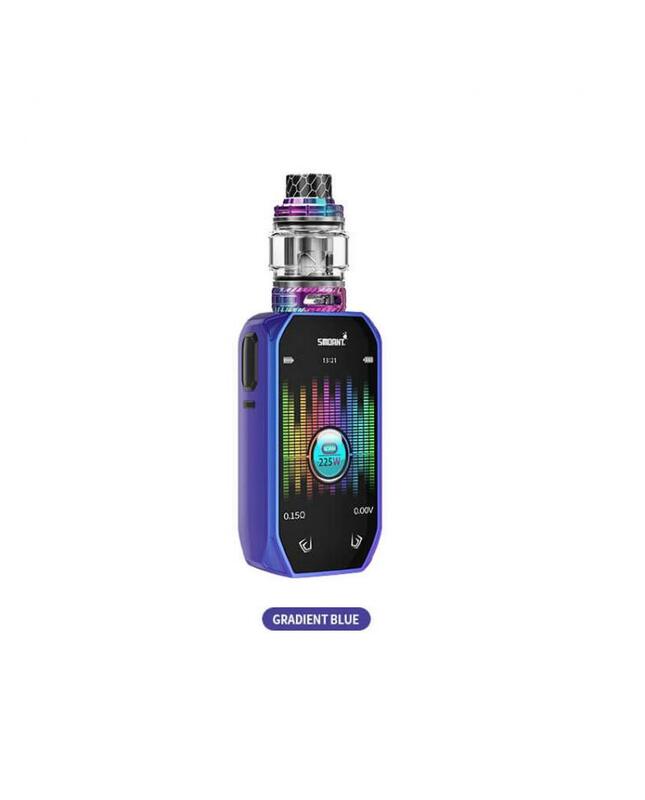 on the bottom of the screen with two touch buttons provide tactile feedback you expect from the smoant box mod, simply touch the buttons to adjust the vape setting. 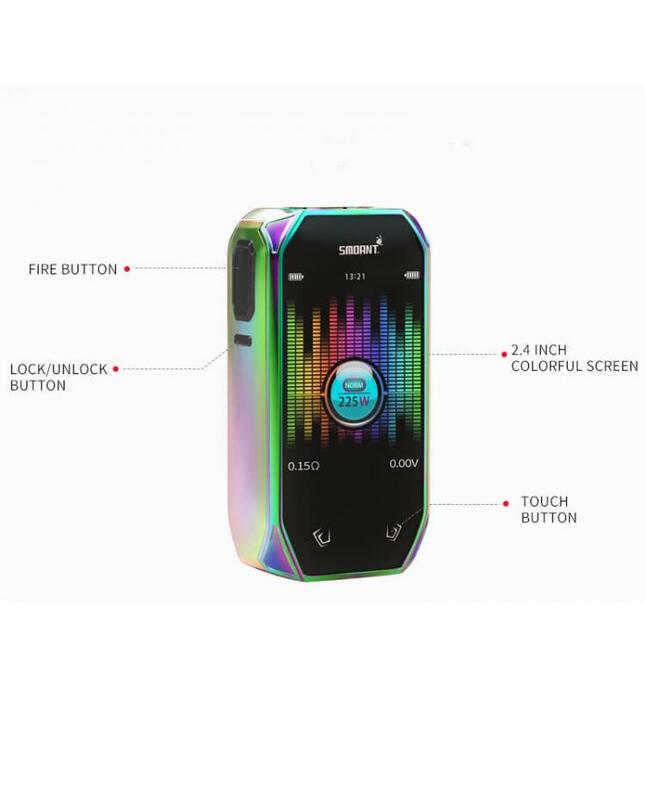 the independent locking button located beside the fire button, which is in an obvious position and is convenient to operate. 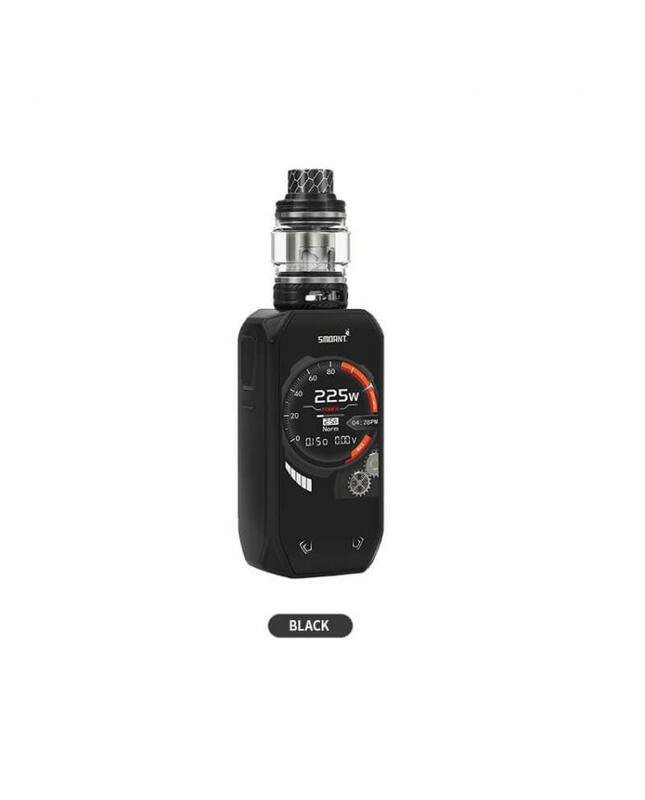 screen locking button makes locking/unlocking the screen simple and secure. 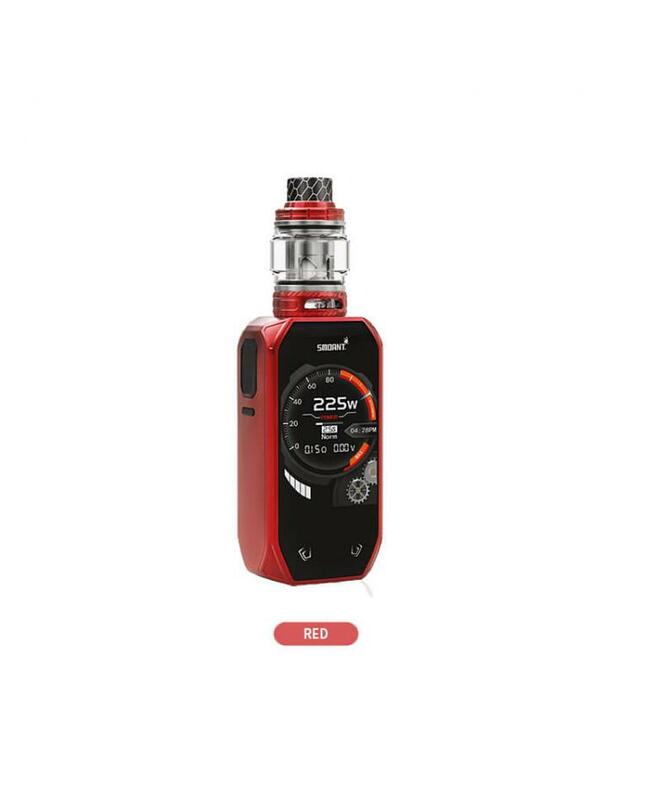 the TC mod with the balanced charging system, which can ensure the pair of batteries is charged simultaneously providing for a safe vaping experience. 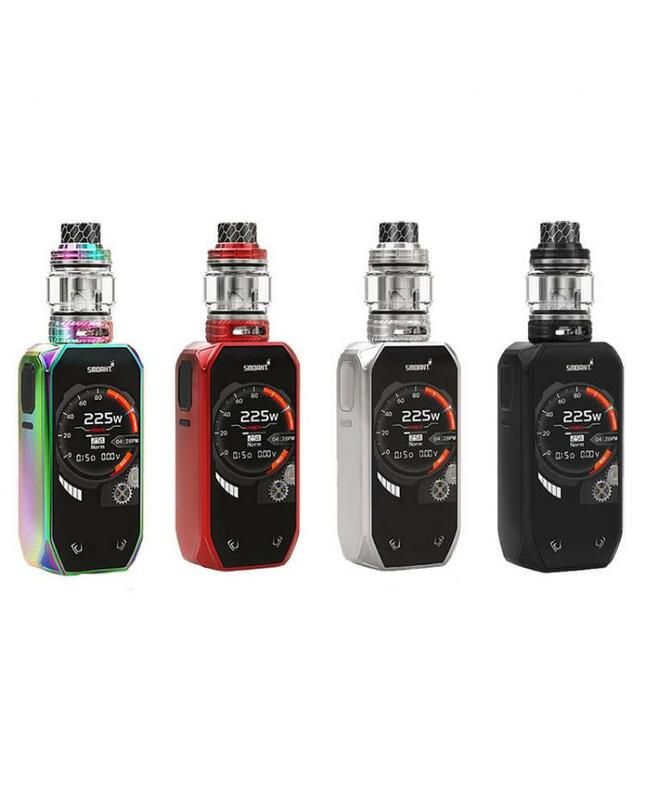 the sub ohm tank can hold 4ml e juice, with an extra 2ml regular glass tank, convenient top refill, and bottom airflow adjustable designs, it comes with 0.17ohm and 0.18ohm mesh coil heads, allows the sub ohm tank fire up to 100watts, will deliver a large cloud of vapor and rich flavor.